This solid brass trim is bent lengthwise to a 90 degree angle. 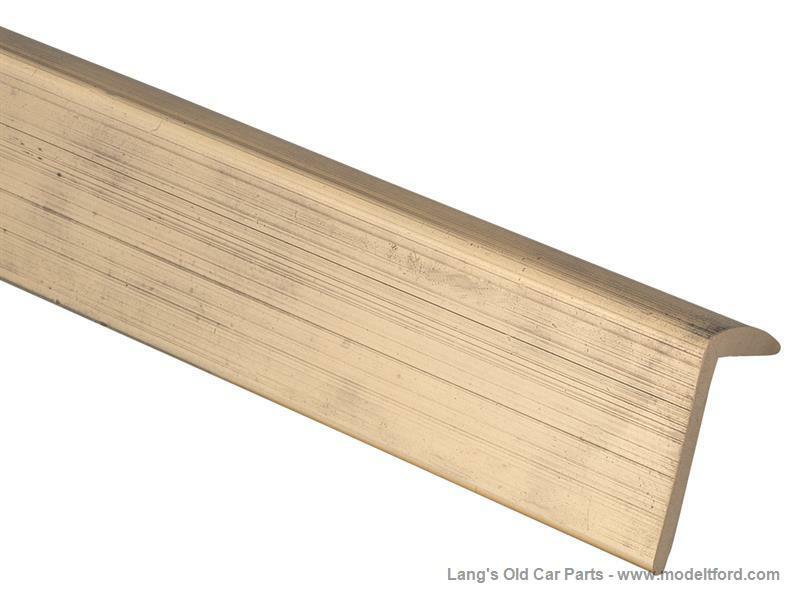 (This brass trim is also used for Model A running boards). The sides measure 3/8" and 15/16". Sold in 8' lengths. It can be used to dress up your speedster, depot hack, wooden pickup or other body with these brass trim pieces. They can be painted or because they are solid brass they can be plated with chrome, zinc, cadmium or nickel.